BAGUIO CITY – Various religious, arts, mall, sports tourism, historical and other activities had been lined up by the local government and the private sector for the celebration of the 2018 Summer Vacation in Baguio. Most of the religious activities were conducted last March while the remaining events include the Easter sunrise at the Malcolm Square, Jesus Miracle Crusade at the Baguio Athletic Bowl and Easter Sunday mass at the Baguio Cathedral on April 1, Victory Church parent orientation at CAP building on April 14 and Victory Church Victory Weekend on April 21. The lone activity lined up for arts will be the 30th Summer Arts Festival at the University of the Philippines College Baguio (UPCB on April 9-14 while the single mall event will be the Porta Vaga Mall special summer sale on April 13-15. Among the events lined up for sports tourism include the opening of the city hall mini-olympics at the Baguio Athletic Bowl on April 6, the Palarong Pambansa in Vigan City, Ilocos Sur on April 16-20, First Baguio Auto Time Attack car show and concert at the Baguio Athletic Bowl and 20th anniversary and car show and swap meet of the Baguio Volkswagon Club – May 12, Philippine National Games in Cebu City – May 19-25, First Baguio Ultra Marathon – May 26 SumVact fun ride and May night ride and SumVac fun ride May critical. The historical events include commemoration of the birth anniversary of Francisco Baltazar – April 2; Araw ng kagitingan – April 9; commemoration of the Araw ng Kagitingan and Philippine Veterans Week – April 5-11; commemoration of the birth anniversary of Gen. Isidro Torres – April 10; Liberation of Baguio – April 27; National Flag Days – May 28-June 12 and National Flag Day celebration and seminar at Aguinaldo shrine – May 12. The other city activities include the Character City celebration spearheaded by the City Human Resource Management office – April 1; federalism rally – April 7; SumVact fun ride April night ride; Mag TV Na Atin To at Malcolm Square – April 28: SumVact fun ride: I-BAGÍW 5 Epic Ride Reload at Baguio Athletic Bowl – April 28 and jobs fair at the Baguio City National High School – May 1. Jose Marie Rivera, officer-in-charge of the City Tourism Office, urged residents and visitors alike to patronize the various events that were lined up for the celebration of the Summer Vacation in Baguio this year to ensure the success of the different that were organized to boost the growth of the local tourism industry. Traditionally, the various activities for the Summer Vacation in Baguio starts in March and ends in May. 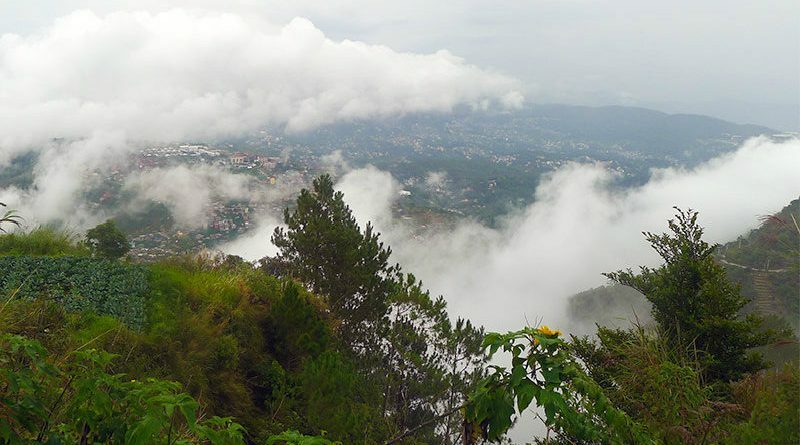 He expressed confidence that the city will be able to get its share from the tourists wanting to spend a well deserved break from their work and wanting to escape from the extreme heat of the lowlands, thus, Baguio City will be the suitable place to stay and spend time with their family members and relatives considering the city’s unique weather condition.